One of Great Britain’s smallest automakers has been building one of the biggest names in track-focused vehicles – the Ariel Atom. Now that company is leaving the track and getting dirty with its all-new Nomad. Think of it as an Atom with knobby tires and beefy suspension. Basically an extreme dune buggy, the Nomad shares a similar design as the Atom, right down to its exoskeletal frame, Honda powerplant, stomach-churning performance capabilities, and the seemingly never-ending list of factory options. Speaking of the factory, the Nomad will be hand-built along side the Atom in the company’s Somerset, England plant. Plans are already being laid for TMI Autoech of Virginia to construct the Nomad within the U.S. as well. Both manufacturers will offer customers the ability to request nearly any custom feature, building the exact vehicle they envision. Of course the Nomad is a huge departure from the Atom. It has a fully enclosed tube-frame roof built from thicker material, its suspension is built to handle high-speed off-roading, and its Honda-sourced, 2.4-liter four-cylinder is stroked for extra torque production. Even the body panels are different, made from flexible polyethylene plastic as to withstand impacts. That’s the same stuff road cones are made of. Ariel is officially releasing the Nomad at the Autosport International Show in Birmingham, England on January 9th, 2015, but all the juicy details have already been divulged. Keep reading for the rest of the info. Updated 10/16/2015: A new report indicates that Ariel is offering a supercharged engine for the Nomad. The upgrade will increase the engine’s power up to 290 horsepower and 251 pound-feet of torque and will improve the car’s overall performance figures. However, the supercharger will increase the final price by about £6000 – or about $9,000. 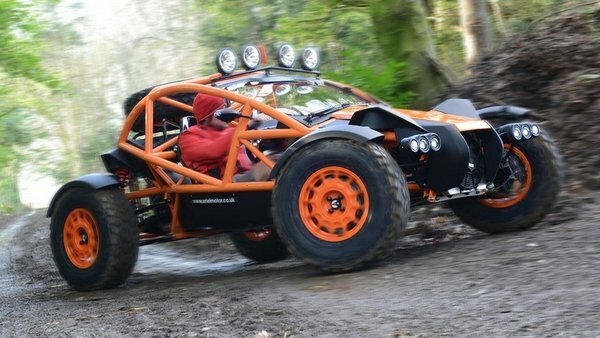 Click past the jump to read more about the Ariel Nomad. 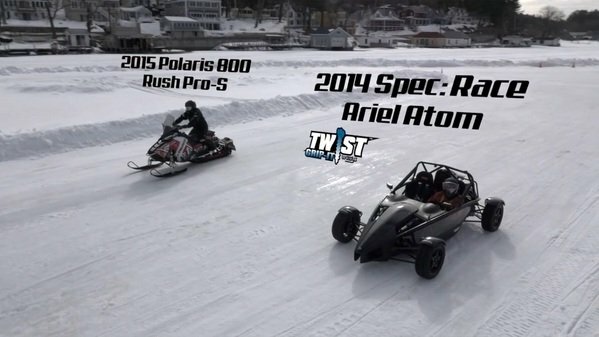 Ariel Atom Vs. Snowmobile: Video originally appeared on topspeed.com on Tuesday, 14 April 2015 07:00 EST. 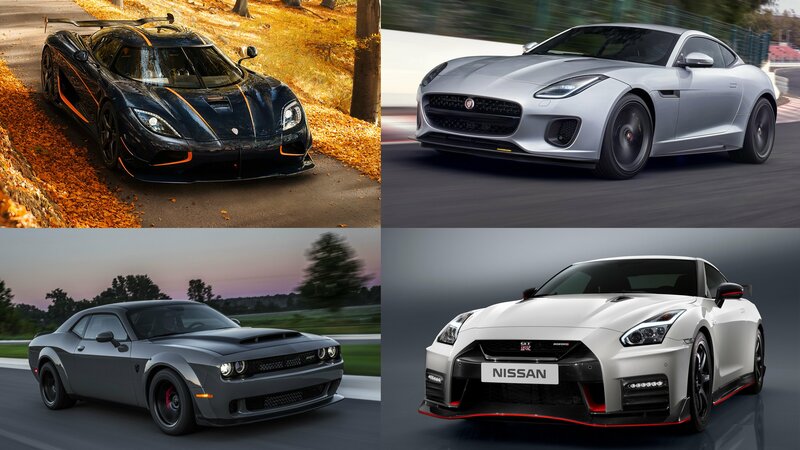 We’re barely two weeks in and 2015 has already been a pretty stellar year for cars. We’re still catching our breath from some pretty extraordinary debuts in Detroit, but probably one of the most exciting new cars we’ve seen so far this year is the Ariel Nomad. Actually, it’s not so much car as a dune buggy, and the guys from EVO Magazine got up close with one at the 2015 Autosport Show in Birmingham, England. Ariel is a tiny company based in Somerset, England that’s made an enormous impact on the performance-car world. Using the same ultra-minimalist, lightweight design philosophy it applied to the Atom track-day car, Ariel has created an off-roader. Like the Atom, the Nomad has an exoskeleton chassis, but that fully encapsulates the occupants. Honda power is still used, but it’s a 2.4-liter unit instead of the 2.0-liter from the Atom. The additional displacement is good for 221 pound-feet of torque and 235 horsepower. Top speed is 125 mph, and 0-60 comes in 3.4 seconds—extremely quick by both on- and off-road standards. The Nomad uses outboard mounted shocks rather than the inboard, racecar-style units of the Atom. Like the Atom and the Ace motorcycle, the Nomad is infinitely customizable. Both 15-inch and 18-inch wheels are available, shod in a variety of mud, sand or gravel tires. The roof-mounted fog lamps and winch are also options. If you would rather not expose yourself to the elements, a windshield and weather kit will take care of that. Will we be able to buy in North America? We spoke with TMI AutoTech, the Virginia-based licensed builder of Ariel Atoms, who told us they had no plans to build or sell the Nomad this year. Give it time though; there could be a huge audience for the Nomad on out shores. Video: EVO Reviews The Ariel Nomad originally appeared on topspeed.com on Thursday, 12 February 2015 14:00 EST.